HTC debuted its ImageSense technology at MWC, but this might not have been the best time as Nokia’s jaw-dropping PureView imaging technique and 41-megapixel 808 PureView made their entry leaving HTC in the backseat. A couple of days have passed, and now HTC is back treating us to a well orchestrated set of image samples from its HTC One series. 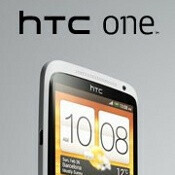 It’s not clear whether the shots have been taken on the HTC One X or One S, which both have similar cameras, but our guess would be that it was the One X, the company’s flagship. In either case, the supposedly unedited sample images caught our eye initially. They definitely come with the wow effect of an overblown color saturation and excellent detail, but we’d take a conservative position and wish for a more realistic picture. If we had to compare them to something, the HTC One images reminded us of the oversaturation going on in phones like the iPhone 4. Dynamic range is another thing suffering from the contrasting color. Now, there’s the possibility that the images were actually edited to wow with their punchy colors and we know that in Sense, the camera comes with some neat filters pre-loaded. What would you say if that was the camera’s default output, though? Do you like what you see below? but i just bought a razr maxx... do you think any good phones are comming to vzw soon? No. Verizon just got like 5 new phones in about 4 months... Now they're going to take a break. There have been leaked pictures of an "HTC incredible 4G" and there was also a file for a phone named the HTC Fireball about 2 weeks ago. Come on dude don't talk like an iFan! The camera on the ONE series is better ( better lens, f 2.0, dedicated camera chip ) than the GS2 ( which i think is aa great phone ) ! This is one the best cameras on a smartphone! Very good point indeed. But for those who are in love with cameraphones, all the rest is not the priority. 808 delivers pretty decent hardware (especially for Symbian OS) and that's really enough for me. I don't cry for 4 cores and never-fit-in-your-pocket 5" screens. Nice images considering that they're from HTC devices. The colors really pop, and I really like the stop motion on the ball in the 5th pic. IF these are the real thing on the phone then wow, HTC has really accomplished its goal. Users will be able to take great quality pictures to share with family and friends.